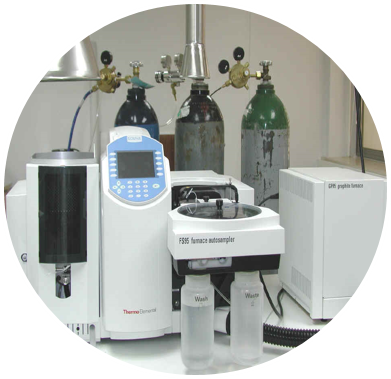 It gives me great pleasure to welcome you to the University Malaya Medical Centre website. As you go through the website, you will find that UMMC was setup to cater for the education of medical students from University Malaya, the oldest university in Malaysia, hence our motto, "Leaders in Medical Education". UMMC gone through massive changes from the main structure of the Faculty of Medicine to the many towers to cope with the growing demands of the university in providing a premier platform in medical education, research as well as providing high quality service to our patients. Since then UMMC has been driven with these main objectives: to establish, operate and develop a medical centre of international standing and repute; and to co-operate with the Faculty of Medicine in providing facilities for medical education, training, research, internship and consultancy of world standards. UMMC strives to achieve the highest quality of standards not only in Malaysia but throughout the world. Our aim to provide excellent healthcare and health education has been met with great success for many decades and now we strive to achieve global excellence. Do support us making UMMC to be the world's best as we perform our best in both the delivery of health education and healthcare to the rakyat. Thank you everyone for making UMMC the No 1 University Hospital in Malaysia. When a new medical school is born, there is more than a mere ripple of interest in the world of medical education. There is deep hope that the new school will avoid the mistakes of older schools, adapt itself to modern advances and contribute to the future through its staff and graduates so that the standards of Medicine are further raised. Having decided on the date of admission of the first class of medical students, the Medical Centre was planes in such a way so that each portion of the building would be ready for occupation a few weeks ahead of the time it was needed for the teaching programme. The first class was admitted to the pre-medical year of study in the Faculty of Science in May 1963, soon after the first bulldozer had appeared on the scene. 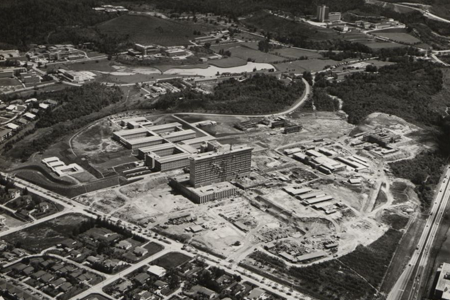 In ten months’ time, Phase I of the Medical Centre, consisting of the administration block and preclinical departments with their teaching and research laboratories was completed so that the first year of the medical course could begin in May 1964 with 64 students. Meanwhile, Phase II of the building, the library and lecture halls, the Para clinical departments with their teaching and research laboratories, rose rapidly beyond the first phase. Ready just in time, the first class moved on to begin the second year of their medical course in May 1965. It was too much to hope that the hospital portion, a 12-story tower block arising from a three-floor podium with its complicated services would be ready on schedule for the students in May 1966. It wasn’t. But this delay was turned to good purpose, and our students started their clinical work in outlying district hospitals. It had been planned that some of their clinical postings would be in district hospitals and rural centers, but it was intended that this should take place later in their medical course. We were amazed however at their rapid maturation, growth of interest and responsibility under these different conditions where they had to be largely on their own. The uniqueness of the whole project lies not only in the rapidity of its progress, but also in the fact that admission and teaching of students proceeded simultaneously with planning and building, ordering and installing equipment, recruiting and training of staff. Another noteworthy feature of the Medical Centre project has been the Academic Staff Training Scheme. Realizing that there is a worldwide shortage of medical teachers, this Scheme was introduced in early 1963 even before the building plans were fully drawn up. It provided the recruitment of young doctors then with good academic potentiality for training overseas in selected University Departments while the process of building and establishing our own Departments continued. 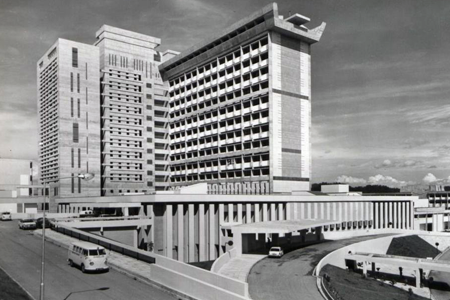 On August 5th 1968, UMMC was officially opened by His Majesty the Yang Dipertuan Agung, Duli Yang Maha Mulia Seri Paduka Yang Dipertuan Agung Tuanku Ismail Nasarudin Shah Ibni Almarhum Sultan Zainal Abidin to serve the three main areas of teaching, research and service. 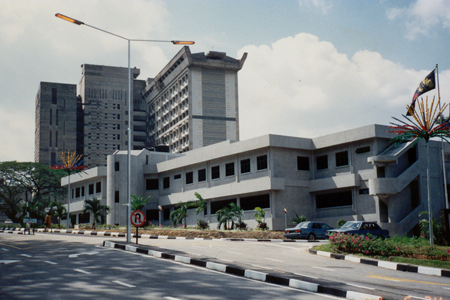 UMMC (formerly known as University Hospital) is under the jurisdiction of the University of Malaya Statute since May 25th, 2000. Today, UMMC has been through massive changes from the main structure of the facility itself to the revolution in the line of medicine education. We will continue to strive in providing the best service in healthcare and treatment to community as well as providing a premier platform in medical education. 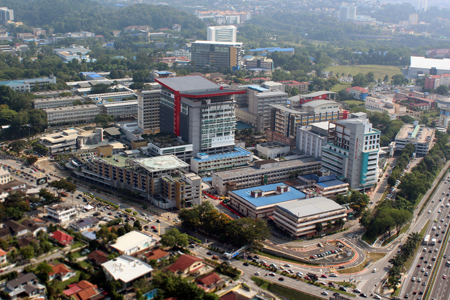 UMMC was planned as an educational institution and as an integral part of the Medical Centre comes under the overall authority of the Council of the University of Malaya. The Hospital is financed by the University through the Ministry of Education. The latter Ministry and that of Health, the Treasury and the University are represented on the Hospital Board of Management together with two representatives of the public nominated by the Chancellor of the University. The Board ensures that the administrative procedures and decisions of the Hospital are in the public interest and serve the general good of the patient. It is also responsible for the financial management of the Hospital and service matters pertaining to general staff. The Medical Advisory Committee ensures that the best possible patient care is offered throughout the Hospital. It evaluates the clinical work of the Hospital and makes recommendations upon policies as they affect patient care and on inter-departmental problems. 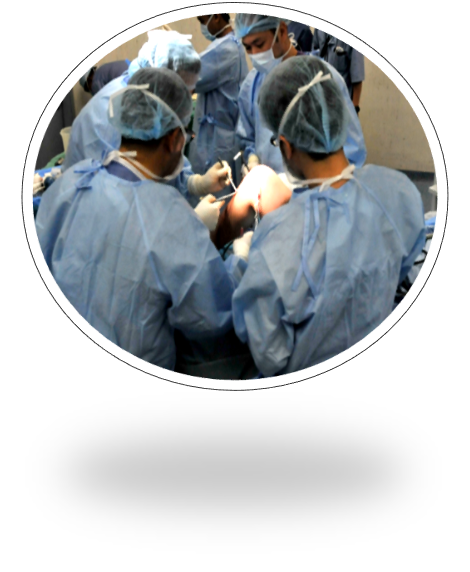 It fosters close relationship among all hospital staff so as to ensure good clinical teaching of students. Aims to be a world renowned medical centre providing highest quality healthcare, medical training and research according to International Standards. UMMC is committed to providing the highest quality healthcare, training and research in tertiary medical services, community and patient welfare services. UMMC is commited to provide and maintain a safe and healthy environment for all its employees, students, patients, contractors and public againts any possible risks arising from its activities. UMMC will utilize all efforts and potential of every resource to produce the highest quality in education, health services, researches and administration. This policy will be realized by every staff with commitment towards continuous improvement, through the implementation of current quality system.